Tired of always having to jot down mileage, locations, directions etc.? Then we have just the right app for you. Tour makes tracking your journeys completely automatic! Tour is a mileage log app like no other. 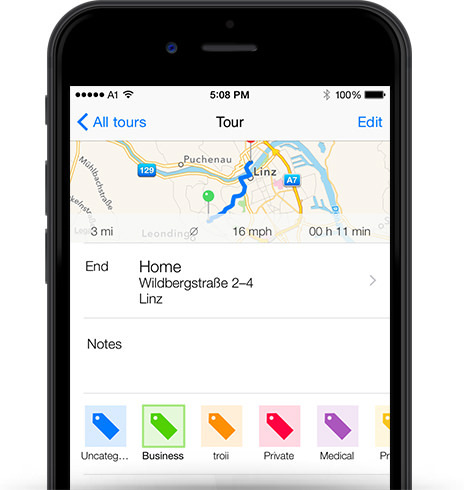 The Tour app puts an end to notating journeys by hand and tracks your trips all automatically. Use your time on the road for more useful things than notating journeys in a log. 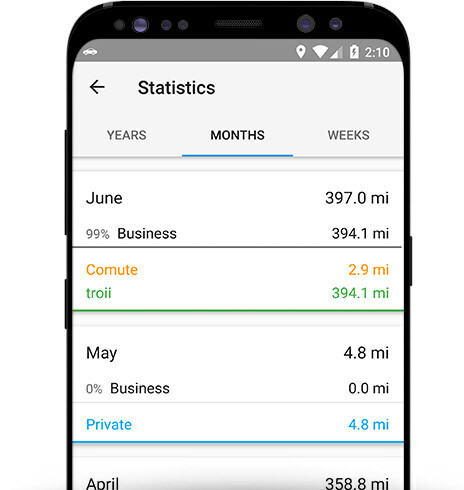 So you can enjoy your milage log even more, the app is easy to use and easy on the eyes too. Just activate Tour when you take off in the morning and stop it again in the evening when you get home. Tour senses whether you’re on foot or going by car. The app automatically tracks all your trips and senses when you stop somewhere. Once a place is created, it can be bookmarked for later revisiting. Create your own categories and classify your trips as work-related, personal, drives home and so on. By using an iBeacon in your car, Tour only tracks if you’re driving with YOUR car. 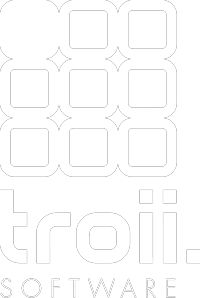 All trips are clearly compiled by year, month, week, and category. Export your data to Excel or as CSVs for further analysis. 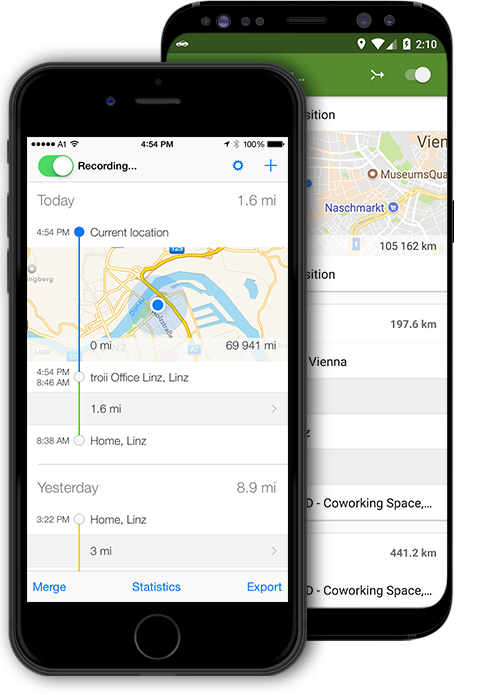 Optionally sync your trips using timr, our cloud mileage log app. If you lose your iPhone or it has a fault, your trips will be safe and sound on our cloud server. Not only that but you can also conveniently generate reports using our timr Web app at home on a PC or Mac. IS TOUR’S MILEAGE LOG TAX-OFFICE COMPLIANT? The combination of Tour and our main product timr makes Tour a tax-office compliant mileage log. 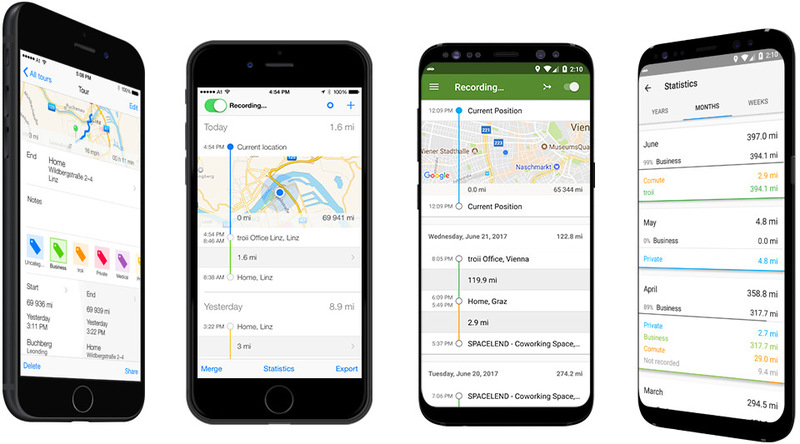 Tour also helps automatically track trips in real time, while timr ensures the change-proof integrity of the tracked trips. timr is a server app. That means you have the option of leaving your trips automatically saved in timr. Your mileage logs are backed up automatically – in case your phone gets stolen or is broken – and the trips are stored in accordance with the tax office’s specifications. ARE BUSINESS TRIPS AND COMMUTES SUPPORTED? Yes, you can track as many categories as you want in Tour. For example, you could make categories for business and personal trips. CAN COMPANIES WITH SEVERAL VEHICLES AND EMPLOYEES ALSO USE TOUR? The combination of Tour with our main product timr makes Tour the perfect mileage log app for businesses. You simply manage your fleet in timr and the Tour app will transmit the trips automatically. Tour is essentially free to use. You can explore the features of automated trip tracking at your fingertips all for free. To use Tour as a mileage log for professional purposes, there are additional features which you can unlock by making an in-app purchase. This gives you a chance to see some of the app’s features for yourself first, risk-free. If you use Tour mileage log professionally, you’ll save hundreds in annual taxes. We spent a year developing the app, pay our employees and suppliers fairly and, of course, need a little something to live off ourselves. We’re glad hearing from you!